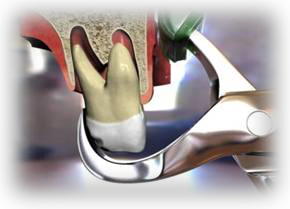 Conventional tooth extraction techniques create more stress and trauma on the surgical area, creating damage due to fracture or removal of bone structure and resulting ridge collapse and lack of bone structure. For that matter, Atraumatic Techniques must be implemented in order to preserve bone and gingival architecture, allowing the option of future or immediate dental implant placement. This type of techniques not only help us to preserve the bone and gingival structure, but also releases the patient from a traumatic extraction procedure, and allows the treating dentist to fulfill a stressless dental procedure. Here at Perfect Smile Dental we are focused on providing the most innovative techniques with the highest quality and hygiene standards, as well as with the newest instruments and equipment, all of this to provide a safe, less traumatic and stressless dental treatment.